Schedugram is now Sked Social! Building a social presence for your business is paramount in a world governed by hashtags and social media mentions. Companies are taking the conversation to the digital arena, and customers are taking note of their efforts. We already know that social media plays a key role in achieving marketing goals and setting promotional benchmarks. 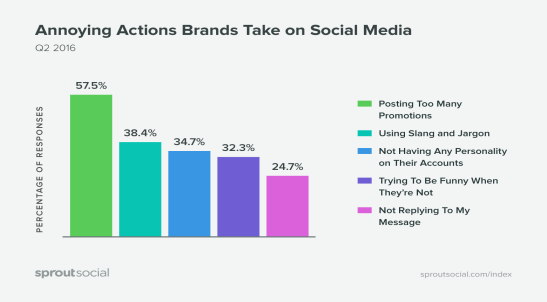 With customers using social media platforms to vocalize their concerns and grievances, brands need to be proactive in their engagement efforts. 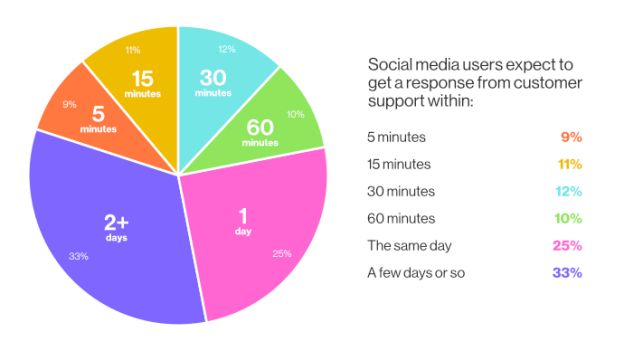 According to research, around 71% customers expect to receive a response or assistance within minutes of reaching out to a company. The short attention spans and impatience of customers highlight the need to enhance and reinforce social tactics and marketing plan of your business. Prioritizing your social media efforts begin with careful deliberation, analysis, and planning of your business goals and setting long-term goals for your brand. Whether you are new to the gamble or have been cruising the dynamic arena of social media, these tips will help you prioritize and organize social media tasks effectively. Although knowing your brand inside out is marketing 101, many companies make the mistake of jumping into the social media pool without testing the waters. Before you streamline your social media strategy or focus on building followers, you need to establish your brand voice. Monitor your social media and digital efforts and understand where you lack and how you can build a brand with a strong social presence. Before you focus on the ROI, work on aligning your social media goals with your business goals. 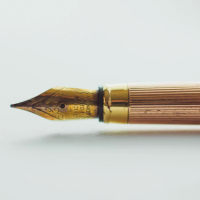 Dig into your business and your audience to create a unique brand voice. You cannot cater to an audience if you don’t know who your ideal audience is, what they need, and where to find them. You could be posting regular content without gaining any engagement. If you are guilty of this, maybe you need to reevaluate your strategy and social media goals. Don’t just build your social media presence to boost followers, set a tangible and long-term goal. It could be anything from building engagement to boosting sales, find your purpose. Knowing what you want from your social media marketing will help devise great campaigns. Before you can engage, you need to build a trust factor and recognition. In order to improve brand sentiment, you have to know your customer to engage with them. Give your brand a humane touch and set a trustworthy communication system for your customers. Set monthly goals and organize your social media tasks around these targets. For example. If you are planning a product launch, don’t just focus on promoting it, plan a narrative and a pre-launch campaign to build intrigue and excitement before the launch. Think ahead to boost your social media efforts. Before your customers can freely engage with you, they need to trust you. Focus your energies on improving customer experience through your social media platforms. Scout for your audience and target the social media platforms that they frequent. Know that happy customers make satisfied customers, so a quick response on their problems and queries is advisable. Retaining your current followers is crucial if you hope to attract new followers. Around 82% customers bail on a company due to bad customer service. The moment you set your social media pages as a platform for one-on-one communication with your audience, you will see a dramatic boost in positive brand perception and positioning. To effectively manage and organize your social media tasks, you must constantly revise your strategy. Since the audience consumes content differently on various platforms, customizing your social media strategy is essential to cater to your audience’s needs. 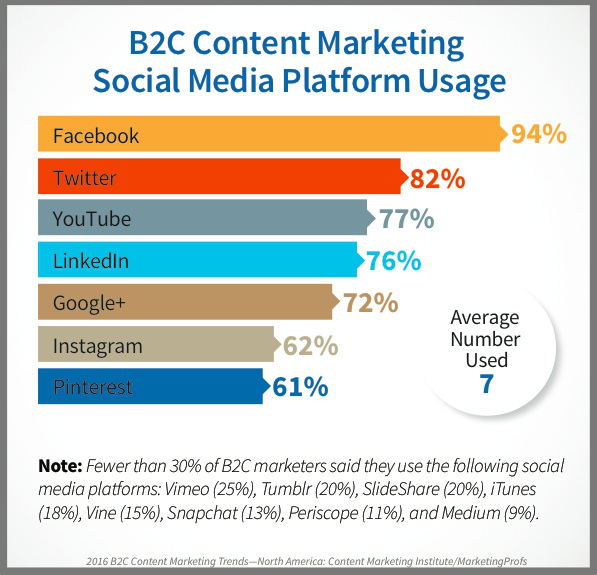 Know how much time your customers spend on a specific platform and what would be the ideal time to share content online. Create content that resonates with your audience and boosts engagement. Create campaigns around holidays, current events and social causes to participate in the conversation happening across different platforms. User-generated content is huge, incorporate it into your strategy and promote it to boost your brand visibility and image. Since social media marketers have to juggle various platforms simultaneously, automating social media tasks will help prioritize and manage your social media strategy. There are several tools that can help manage your social campaigns for various platforms. Although the humane factor is the most crucial aspect of social media interaction, some activities can be automated. Here are some effective social media tools that will make your life easy. To attract a diverse audience, you need to step out of your comfort zone and experiment with different kinds of content. Dabble in live streaming or rope in an influencer to promote your product/service. The only way to up your social media game is to constantly update your strategy and adapt to the changing needs. Here are some interesting strategies you can implement. Influencer Marketing: Most marketers are familiar with the concept of influencer marketing. A select group of people who have the power to influence your buyer’s decisions are targeted to promote your brand. 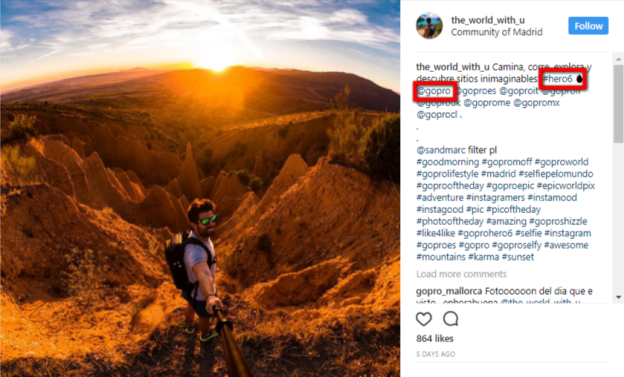 One of the brilliant examples of influencer marketing is presented by GoPro. GoPro’s Instagram is flooded with the creativity of influencers documenting their travel experiences. The brand has effectively targeted different influencers to display what their product can do in a creative manner. User-generated Content: You can never go wrong with this strategy. Your users are constantly sharing content about their brand experiences, make it easier for them to share this experience online. Engage with customers who promote your content or share a feedback. User-generated content will save marketing time and is great for brand image. Behind The Scenes Stories: Give your audience a glimpse at how your team works to bring the brand alive. This will help humanize your brand and build relationship and trust. Reveal your teamwork and add a fun flair to it. So, prioritizing social media tasks depends on what your goals are. You want to be active online and engage as many customers as possible. It’s about using your time, budget, and resources effectively to enhance your brand image. Figure out what you need to accomplish and prioritize your social media strategy. Formulate and optimize content for the right audience and right platform and experience the difference! To carve out hours in your social media workflow, start by signing up for Sked Social’s (formerly Schedugram) 7-day trial. As an all-in-one social media platform that allows its users to post directly to Instagram, Facebook, Pinterest and more, Sked is the first step in engaging authentically with your followers. Every once in a while, we team up with marketing and social media experts to bring you fresh tips and sleek writing. Our guest writers come from all backgrounds to share strong opinions on social media. You can contribute to Sked Social blog by emailing us a pitch at feedback[at]skedsocial.com! It has proven in useful content that social media is a platform where marketers can enhance their brand by affiliating with the marketing influencers and no doubt when the brand team up with the influencer than most of the content should be attractive enough. Try our amped up all-in-one platform free for 7 days. Get full access and see how absolutely easy it is to rock your visual marketing plans from here on out! Subscribe to our newsletter to start receiving Sked Social news. Sked Social is a third party app and is not affiliated with or endorsed by Instagram.